Vocamus Writers Community is an incorporated non-proft community arts organization that supports book culture in Guelph, Ontario and the surrounding area. We provide local writers and readers with lots of free resources – writing workshops, information panels, manuscript consultations, book readings, social events, writing groups, book promotion, anthologies of local writing, and our annual Book Bash Festival – my goodness, just about everything. We do it because we're all about creating community through books, encouraging the exchange of ideas, supporting the creative process, connecting people with each other, and promoting freedom of self-expression – all that good stuff. 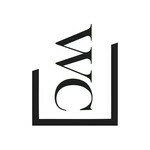 Vocamus Writers Community is a non-profit arts organization that supports book culture in Guelph, Ontario.